The Romance Cover: Happy Valentines Day! To celebrate Valentines Day we have a giveaway on our facebook page! We are giving you the chance to win one of four books. 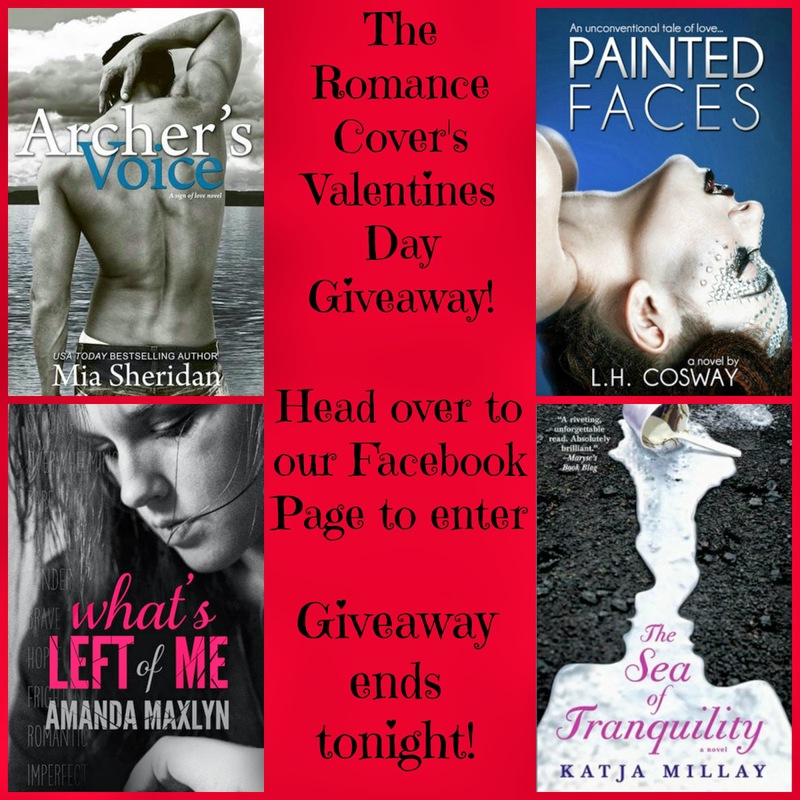 Donna has picked two recent releases to give away that have knocked her socks off ~ Archers Voice by Mia Sheridan & What's Left of Me by Amanda Maxlyn & Willow has picked two older books that have touched her heart and she'll never forget ~ Sea of Tranquility by Katja Millay & Pained Faces by L.H Cosway.